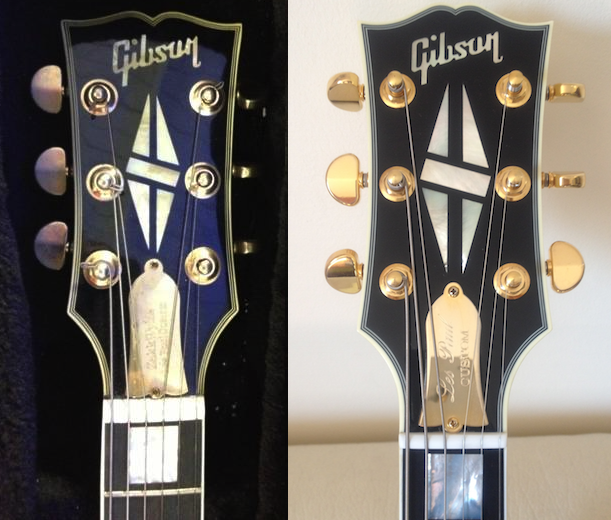 I spotted this fake this afternoon at cash converters Shellharbour for the low rice of $750 and after much deliberation with the potential purchaser I left sound in the knowledge I had prevented him from making a huge mistake, when I sighted along the neck it had bump right in the centre and 2 pronouced downward bows in between, the truss rod cover had Zak Wilde Custom the inscription looked cheap and it was real close to the neck. it had a four number serial number which through us off a bit. this gutar needs work we could not tune it it was a semi tone off an octave at the 12th fret the hardware looked cheap also although it had EMG pick ups.